A stunning new novel from the two-time Man Booker shortlisted author of "The Secret Scripture"
In this highly anticipated new novel, Irishman Jack McNulty is a "temporary gentleman"--an Irishman whose commission in the British army in World War II was never permanent. Sitting in his lodgings in Accra, Ghana, in 1957, he's writing the story of his life with desperate urgency. He cannot take one step further without examining all the extraordinary events that he has seen. A lifetime of war and world travel--as a soldier in World War II, an engineer, a UN observer--has brought him to this point. But the memory that weighs heaviest on his heart is that of the beautiful Mai Kirwan, and their tempestuous, heartbreaking marriage. Mai was once the great beauty of Sligo, a magnetic yet unstable woman who, after sharing a life with Jack, gradually slipped from his grasp. 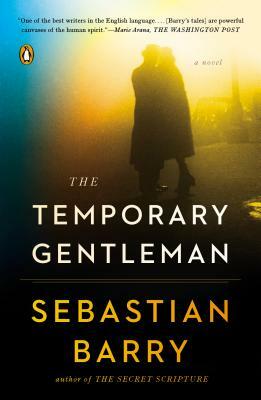 Award-winning author Sebastian Barry's "The Temporary Gentleman" is the sixth book in his cycle of separate yet interconnected novels that brilliantly reimagine characters from Barry's own family.